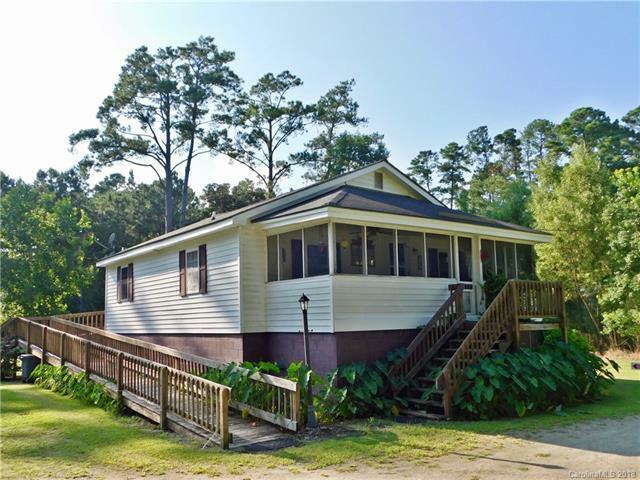 PRIVATE FISHING AND DUCK HUNTING RETREAT NEAR THE PAMLICO SOUND! If you've been looking for a place to escape from a busy lifestyle to peace and serenity, look no further. This adorable, lifted 3 bedroom/1 bathroom, older home has been remodeled and updated in the last 5 years to suit your needs. The kitchen is equipped with spacious custom cherry cabinets, a tile backsplash, an island with a bar, plenty of counter space to cook for larger groups and a convenient eat-in bar that is open to the living room area. The bedrooms all have closets for plenty of storage. The screened in front porch is the perfect place to relax with peaceful views of natural wildlife. The elevated crawl space is equipped with ample storage and shelving. This private lot is at the end of the road and includes a deeded right of way. You must view this listing to appreciate the peacefulness! *Note...Ceiling height is not standard and should be verified by buyer. Sold by G2 Real Estate.